I’ve really never been a fan of Paleo baking. For the most part, I rarely find it to be on par with regular baking and I find it easier to just cut baked goods out altogether, or reserve them for special moments like birthdays or Christmas. However, baking is one of the sneaky ways that I can trick my kids into eating fruit. (Yes, the goal is to not have to sneak or trick them into it, but we’re not at that point yet). Charley gags on a bite of banana by itself but doesn’t notice if it’s pureed into muffins or pancakes, so we’ve been experimenting together. 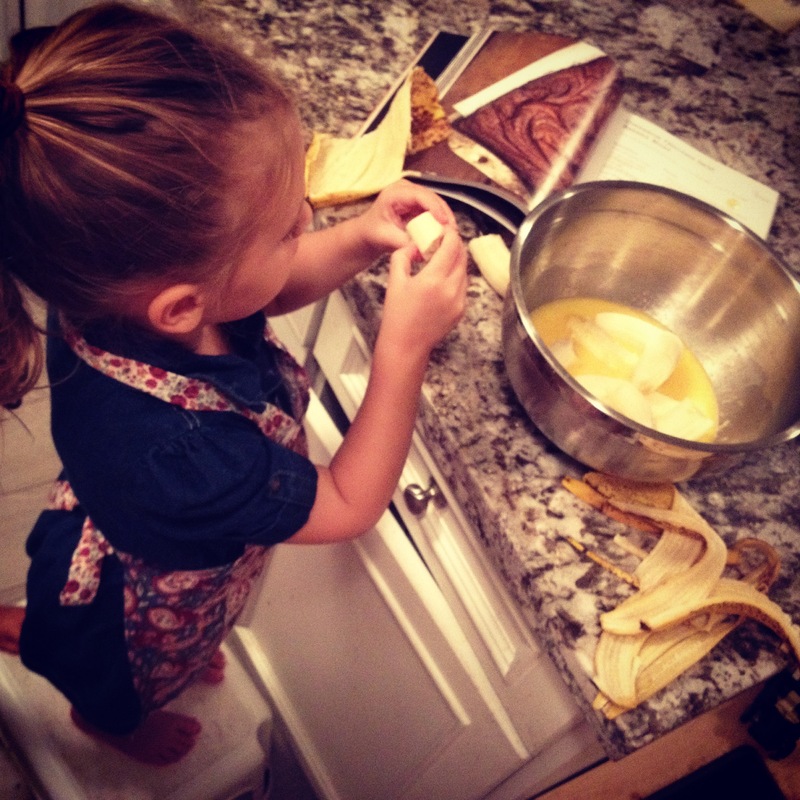 She waited all week for the bunch of bananas in our fruit bowl to turn brown so we could bake today. I think her favourite part was peeling them! I based the recipe off of the Cinnamon Chocolate Swirl Banana Bread recipe from The Paleo Kitchen cookbook by Juli Bauer and George Bryant (aka Paleomg and Civilized Caveman). All I did was make it more kid friendly and baked it into muffins instead of a loaf. 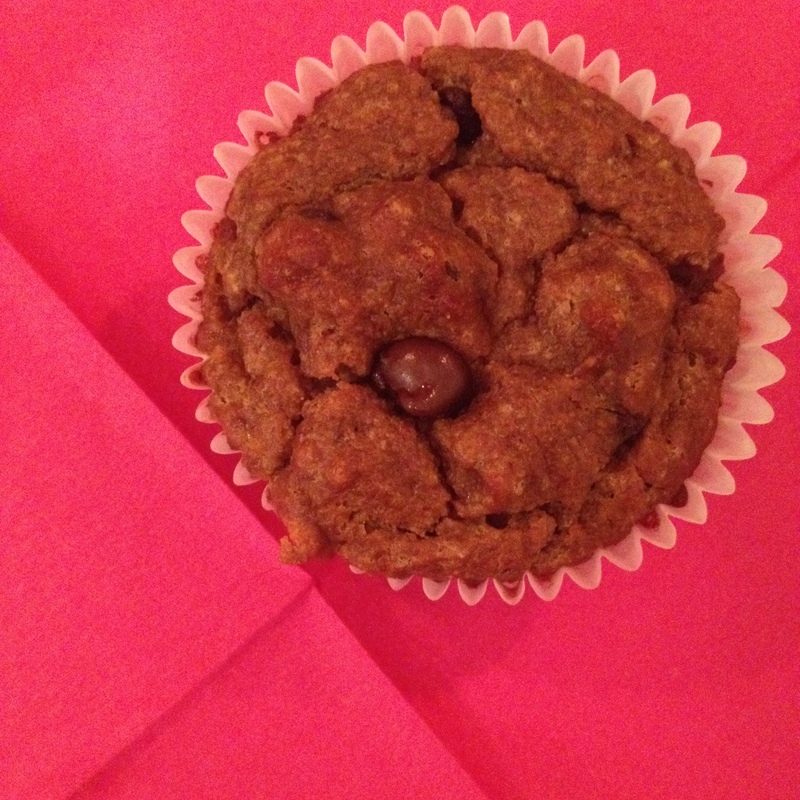 Muffins are so much easier to take with us to the park or on a playdate. Enjoy! 2) Combine the bananas, eggs, butter and almond butter in a bowl and mix until well blended. 3) Add the coconut flour, baking soda, baking powder, vanilla and salt and mix until all the ingredients are well combined. 4) Stir in the chocolate chips until evenly distributed. 5) Pour into the muffin pan lined with cupcake liners. 6) Bake for 45-60 minutes, or until toothpick comes out clean when inserted in the middle. Remove from the oven and let cool for 15 minutes before serving. Enjoy with a big chunk of grass fed butter!